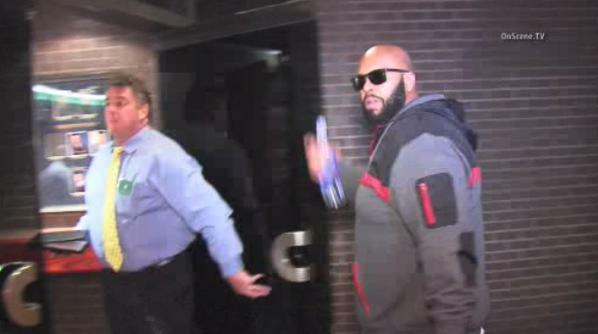 Suge Knight, former Death Row label owner and current owner of Black Kapital Records has been arrested for hit & run and is being charged with homicide. This wouldn’t be the first controversial issue Suge Knight has gotten into but this doesn’t look like it’ll end well for him. This time he got into a fight with two men at a Compton movie set and before fleeing the scene he ran over his friend Terry Carter while reversing his car. Terry Carter later died from those injuries. Early this moring Suge turned himself into the authorites and was charged with murder.